Led by Professor Mark Stewart, the $780,000 counter-terrorism project will investigate the adequacy and cost effectiveness of current measures against the evolving nature of explosive terror attacks. Professor Stewart said the research would investigate the vulnerability of public infrastructure world-wide to terrorist blast attacks. "We're looking at aviation, buildings, bridges, iconic structures and mass gatherings to develop risk-modelling techniques for infrastructure which could be subject to terrorist explosive blasts. "Our aim is to deliver enhanced anti-terror security in a cost effective manner," said Professor Stewart. Professor Stewart said although the outcomes could be devastating, current modelling by his team revealed the risk of terrorist aviation attacks is low. "Airline passengers have one chance in 90 million of being killed by a terrorist attack. You would have to fly every day for 68,000 years to be involved in a terrorist attack." Also investigating ways to predict future events is Associate Professor Silvia Frisia, who aims to better predict rainfall in Australia by examining stalagmites - mineral deposits that grow in caves. Critically, the research is the first of its genre to investigate the fundamental processes capturing rainfall changes in Stalagmites. "Stalagmites are a valuable source of uncorrupted, pre-instrumental data on rainfall that we will use to generate continuous rainfall records for the last 2000 years. 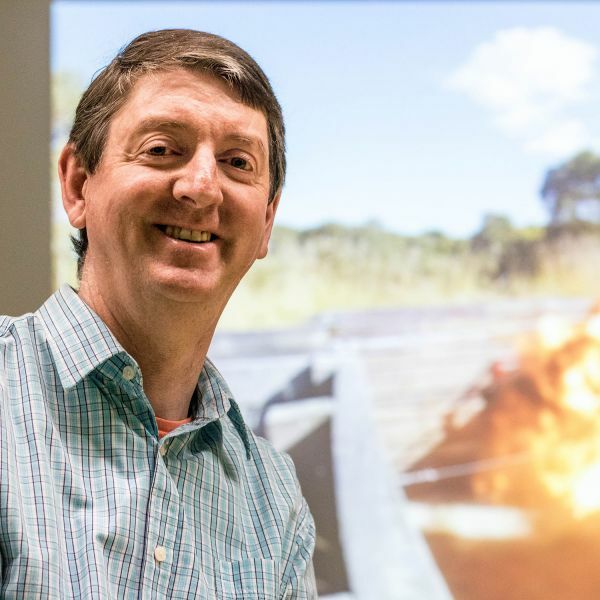 "This knowledge will enable better predictions of droughts and wet events in Australia, which will benefit industries that rely heavily on rainfall, such as agriculture," said Associate Professor Frisia. The ARC funding will also support an Australian-first assessment of Aboriginal economic impact led by Professor Dennis Foley. Professor Foley said it was important to understand the impact of economic stimulation initiatives including the establishment of Indigenous Chambers of Commerce and the Opportunity, Choice, Healing, Responsibility, Empowerment (OCHRE) initiative in large Aboriginal populations. "In the last decade, Aboriginal owned small business has increased. Using NSW as a case study the project will assess economic development, job creation, new company creation, Aboriginal and non-Aboriginal well-being and social positivity to help inform policy in the sector," said Professor Foley. Senior Deputy Vice Chancellor and Vice President - Global Engagement and Partnerships, Professor Kevin Hall said UON boasted some of the most accomplished, innovative researchers in their fields. "Today's announcement by the ARC demonstrates UON's imperative role in seeking solutions to some of the most critical challenges facing our world. "The diversity of research supported is indicative of the tremendous depth and breadth of research at UON and I wish to congratulate all our researchers on this exceptional result," said Professor Hall.